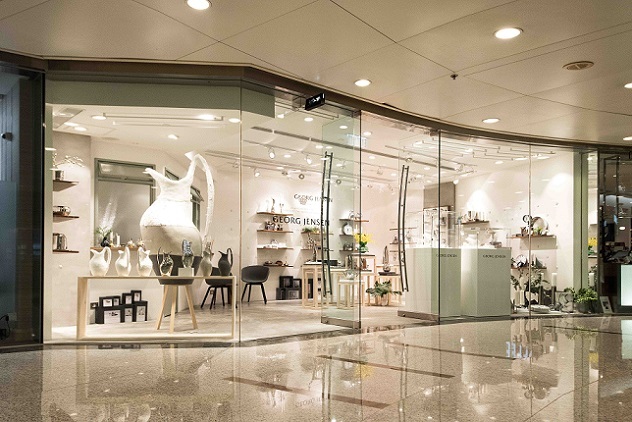 Georg Jensen opens its new concept store in Lee Garden One Causeway Bay recently. It is a break from the usual set-up of displaying mainly watches and jewels, a series of living products such as cutlery, tableware, wine essentials and vases are principally showcased, together with creative art installation inspired by brand's living products, the perfect implementation of Georg Jensen's simple and stylish design brings you a new presentation of Georg Jensen. The side facade display is a modeled on the MASTERPIECES HK (Henning Koppel) pitcher, creating a giant pitcher with surface of mix and matches of cotton, painting with thick stroke, cement and felt fabric, a 360 degree demonstration is presented jointly with small pitches made by different mentioned materials and the original products. 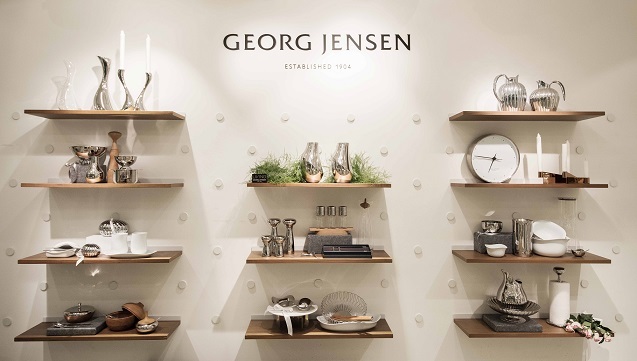 In addition to bring visual and tactile effect, it further shows the innovation and simplicity of Nordic style of Georg Jensen. 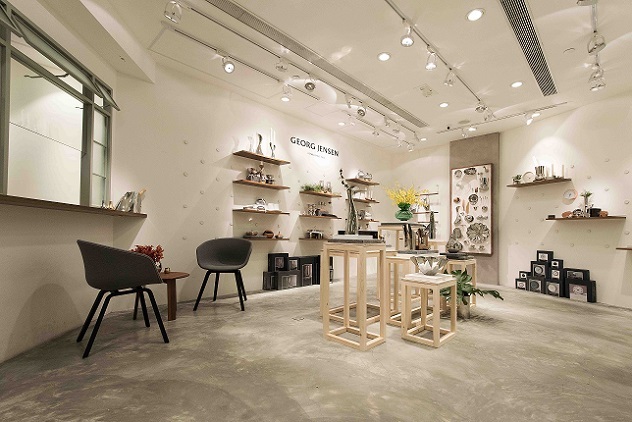 The newest visual merchandising concept is carried through in the group of gridiron table with different heights and on the shelf, several different collections of living ware are exhibited together to illustrate the fun of decoration with mix and matches of different style of living products.